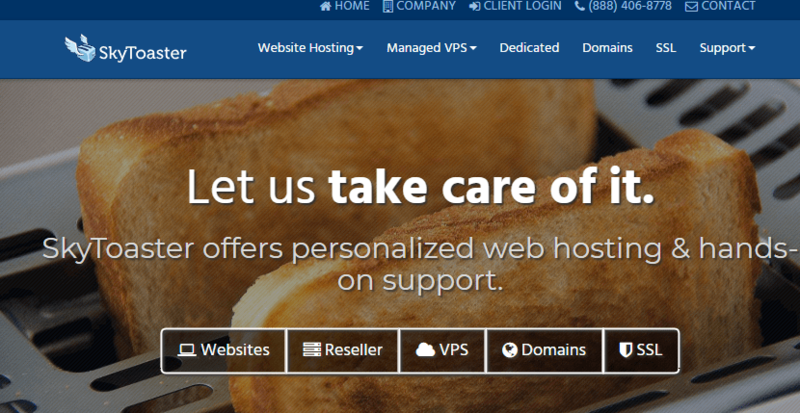 SkyToaster Review 2019: Is SkyToaster a Good Hosting? Founded in 2010, SkyToaster is an American firm that offers shared hosting, VPS, dedicated servers, and domain registration services. The company prides themselves on offering their customers stable, easy-to-use hosting with a 99.9% uptime guarantee and hands-on support. Headquartered in Durham, North Carolina, SkyToaster is an American company providing reliable web hosting services to users around the world. They’re well-known for their risk-free managed hosting and stellar customer service across all plans. The company was founded in 2010. Presently, their services are only available in English. Many customers are drawn to their shared hosting plans. These are excellent for individuals and small to mid-sized businesses, giving you anywhere from 10GB to 40GB storage, 500GB to 1TB bandwidth, and five to ten add-on domains — all on a CloudLinux OS setup to ensure that your account and its resources are isolated from other users on the shared server. You can choose where you’d like to host your website from four available locations: Dallas, Texas; London, U.K.; Rotterdam, the Netherlands; and West Palm Beach, Florida. Unfortunately, their shared hosting plans don’t come with any SSL certificates; these will have to be purchased separately. A VPS works wonders when you have performance-critical or custom applications to run. With SkyToaster, you get SSD-powered virtual servers that are fully managed and customizable. Like their shared hosting plans, this also comes with a free website migration service, so if you’re moving over from another hosting provider you can rest assured that they’ll handle the entire process for you with minimal downtime. In addition to shared hosting and VPS, you can also register your domain, purchase a dedicated server, or get an SSL certificate with SkyToaster. SkyToaster has reasonably-priced packages that are designed to cater to different needs. They’re definitely not the cheapest, but they’re very generous with their bandwidth allotments, so it balances out nicely. You can sign up for monthly or yearly plans, though I recommend that you sign up for at least a year so that you can enjoy lower prices. As a bonus, if you’re moving from another hosting provider, you can get up to three months of free hosting upon providing proof (usually with a paid invoice from your previous hosting provider). SkyToaster’s shared and VPS hosting plans all come with an above-average 45-day money back guarantee. If you’ve purchased an SSL certificate separately from them, these also have a 30-day money back guarantee – a nice perk, in my opinion. If you run into problems with your hosting account, you can reach out to their localized U.S. support staff anytime. Their homegrown support team is very knowledgeable and friendly. You can reach out to them through their toll-free number, email, and support tickets 24 hours a day, 365 days a year. Unfortunately, there’s no live chat available at this time, but they do have a decent knowledge base if you need quick answers. SkyToaster truly stands out with their SSD VPS options and affordable shared hosting plans. Customers enjoy excellent localized support regardless of their chosen packages or skill levels. Wondering how SkyToaster stacks up against other Web Hosting companies? Enter any other Web Hosting company and we will give you a side-by-side comparison.